Deputy Sgt. 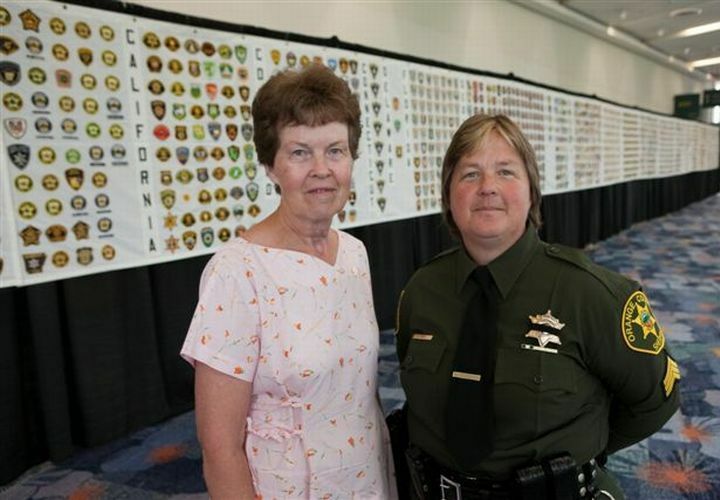 Yvonne Shull collected one patch from each sheriff's agency in the county with the help of parents Ernie and Alice (pictured left) Shull. The Orange County Sheriffs' Department picked Sgt. Shull it's distinguished deputy in 2010 for her 24-year career, which includes supervising 200 hundred homicide cases. Photo by Jerry Manson/OCSD.